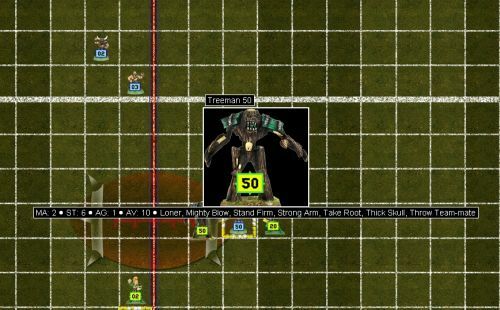 VABBL is another way to play Game Workshops classic Blood Bowl online with others, similar to FUMBBL but without the need to join a website or enter a league (though you could certainly create one of your own!). VABBL uses a boardgame conversion tool that has been around for many years called "VASSAL". VABBL is the closest to playing on tabletop as any electronic version of the game that exists! 08/12/17: New Version! Version 1.6 is released. This version now includes the variant "StreetBowl". You select this variant when you first launch the game (you are presented with the menu option of selecting a "board"; either 'grass' (traditional) or 'streetbowl'. See the DOWNLOADS section to download this latest version. You can keep version 1.5 for any existing games that you may have running. 08/08/17: Added a vlog (save game log file) that will tell you everything that you need to know how to play. Follow the directions below for installing VASSAL/VABBL and then download the log file (in the "Downloads" section) and once you've launched the module, go to "FILE > OPEN GAME" and select that log file that you've downloaded. You can then use the "Page Dn" button to scroll through and read my log file with instructions. 09/23/16: Version 1.5 released. More additional sounds and now you can number your players in order to match online team builders. This makes the overall size of the module smaller as all the duplicate players were now eliminated. 11/27/15: Version 1.4 released and now contains additional sounds, a more verbose chat window and fixes for a few bugs that were identified during playtesting (thanks to all the playtesters that have helped me with this project!!). 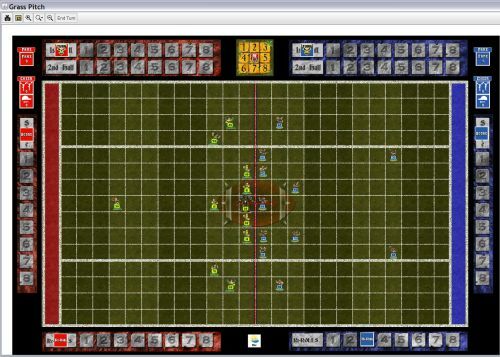 Download the latest version of VASSAL Blood Bowl HERE. 1. Vassal uses Java so you will need to make sure that you have it installed and that it is current. Java can be installed from www.java.com. 2. Next, you'll need to install the VASSAL program. This is a freely distributed program and can be downloaded/installed from their website at www.vassalengine.org. 3. And finally, you'll need to download the latest version of the VABBL module, which is located on the downloads page HERE. I like to make sub-folders in my VASSAL installation directory for each module that I download. Just be sure to save it to a place that you'll remember, wherever that may be. 4. After everything is downloaded, launch the VASSAL application and then go to FILE > Open Module and select the Blood_Bowl_Vassal_xx.x file. What is VASSAL and VABBL? 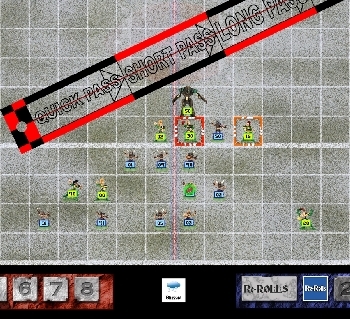 VASSAL is a boardgame tool that can be installed from http://www.vassalengine.org. This allows play of BB via live play or by email (pbem). 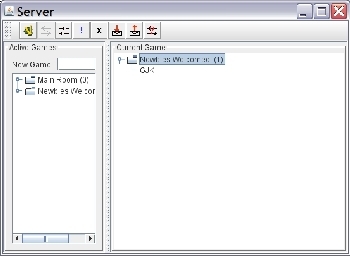 The module generates a log of all your moves, whatever text you type in to the chat window, and all your di(c)e rolls. These are small (10kb on average) files that you simply email or dropbox to your opponent. Conversely, you can play online. If you opt to "look for a game online" when you start the module, it will drop you in to the lobby for this module (and this module alone). You can pre-arrange a game, meet up and then open a room to start a new game or you can always look and see who's online for this (and other) modules at any time at the VASSAL site: http://www.vassalengine.org/status.php. Player stats are viewed on a mouse-over (no looking off to the side or onto your charts). All pieces have right-click context menu's for annotating their status, announcing blocks, etc. All moves and blocks are indicated on the pitch as well as logged to the chat/log window. The control panel shows the dice results and logs all rolls and player interaction to the log. Your opponent "steps through" the log to see a step by step playback of your turn. Live online play also works. And finally, something that I did that I thought helped with the immersion a bit; the pitch will change depending upon the weather and if you choose, you can actually use the range ruler. Just gives it more of a tabletop feel and less of a "digital" feel IMHO. Blood Bowl © Copyright Games Workshop Limited 2019.